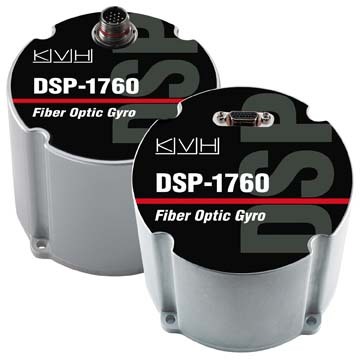 KVH Industries, Inc., introduced the multi-axis DSP-1760 fiber optic gyro (FOG) today (October 21, 2013) at the Association of the United States Army annual meeting and exposition, AUSA 2013, in Washington, D.C. The unit’s novel design combines 1, 2, or 3 axes of high-performance FOGs within an easy-to-integrate housing, according to the company. Depending on the application, an optimal combination of axes can be integrated within an environmentally sealed, lightweight enclosure.